Maharashtra Government has given approval by way of Ordinance on March 6, 2019 for introduction of Maharashtra Settlement of Arrears of Tax, Interest, Penalty Late Fee Ordinance 2019 (VAT and Allied Laws Amnesty Scheme 2019) with a purpose of minimising or closing down the disputed MVAT cases and litigated matters. This scheme aims to close pending cases on fast track mode and give concession to the dealers in Government dues. This scheme will be open in two phases first from April 1, 2019 to June 30, 2019 and second one from July 1, 2019 to July 31, 2019. Under this scheme Maharashtra VAT registered dealers need to approach VAT Department and ask for waiver in prescribed application format as required under this scheme. 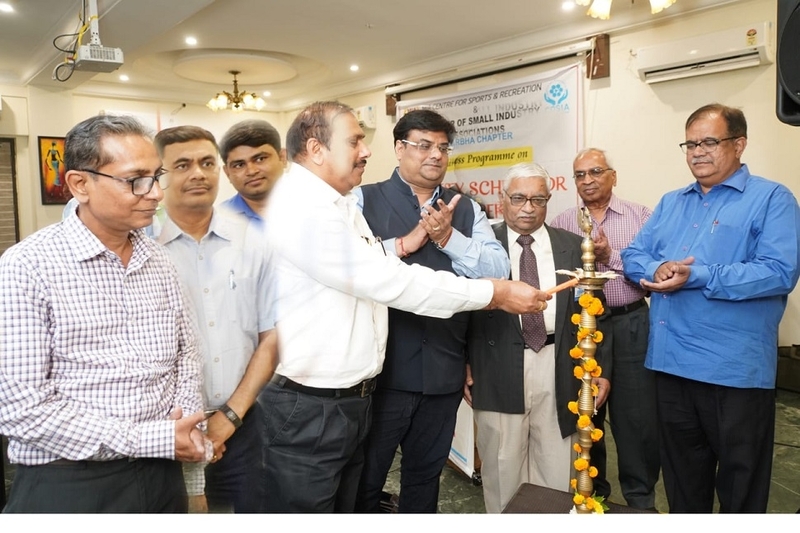 This was revealed by M M Konkane, Joint Commissioner of State Tax, Nagpur while inaugurating the seminar on Pre GST Era Amnesty Scheme 2019 of Maharashtra Govt. The seminar was organised by COSIA and MIACSR. Deputy Commissioner of State Tax, Nagpur Sunil Lahane and Assisstant Commissioner of State Tax, Nagpur Nitesh Bhandare were also present. Convenor of COSIA, Vidarbha Mayank Shukla made the opening remarks. He said that COSIA always organises such type of programmes for the benefit of its members and industrialists of the region which helps them to create awareness about the various schemes and updating about the recent development. Lahane said that the State Government has announced Scheme to Settle Arrears of Tax, Interest, Penalty or Late Fee under MVAT and Allied Laws for any period ending on or before June 30, 2017 covering arrears whether in dispute or not and even assessed or not. The Scheme is lucrative and is providing a big relief by way of considerable waiver in interest and penalty. The stakeholders must take advantage of the scheme before the time limit expires. CA Shailendra Jain deliberated on the salient features of Maharashtra Settlement of Arrears of Tax, Interest, Penalty or Late Fee Ordinance, 2019 (Amnesty Scheme) and its procedural aspects. Taxes to be paid under the scheme is 100 per cent of undisputed amount and for disputed amount it varies according to phases and the period of dispute. He said that the scheme provides that if the dealer applies and pays the disputed amount before June 30, 2019, for any dispute prior to the period March 31, 2010 then waiver in tax is 50 per cent while interest waiver is 90 per cent and penalty waiver 95 per cent. For the period after March 31, 2010 upto June 30, 2017 waiver in tax will be 30 per cent while interest waiver is 80 per cent and penalty waiver is 90 per cent. CA Julfesh Shah said that this Ordinance would be applicable in respect of the arrears of tax, interest, penalty or, as the case may be, late fee under various Acts administered by the MGSTD and the rules made or notifications issued the under various relevant Acts. Prominently present on the occasion were Shekhar Bendre, Shekhar Patwardhan, Chander Khosla, CA Pravin Raut, Ashutosh Das Lanjewar and large no of industrialists and dealers.